A lot of emulsion science has been known for many years, but the theories have not been easy to apply. The apps in this section use theories from many of the top surfactant scientists, allowing their work to come to life for those of us who need it. 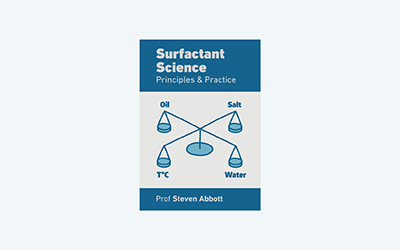 My free book expands on the content in Practical Surfactants but is linked to the apps so you go straight from the eBook page to the app of interest. It can be downloaded for iBooks, for the iPad, for Kindle and as PDF.